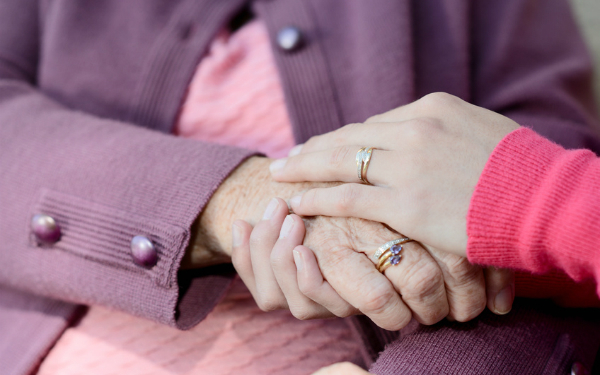 The number of adult safeguarding concerns in England rose by 8% last year, yet councils conducted slightly fewer safeguarding enquiries in response, official figures have shown. The Safeguarding Adults report by NHS Digital, which is based on data collected from councils with responsibility for adults’ social services, found 394,655 concerns regarding suspected abuse or neglect against adults were raised between 1 April 2017 to 31 March 2018 up from 364,605 in 2016-17. But the number of safeguarding enquiries in response to concerns by councils and other bodies fell from 151,160 to 150,070, a drop of 0.7%, with a bigger 1.1% decrease in statutory enquiries under section 42 of the Care Act, from 133,265 to 131,860. These take place when an adult has needs for care and support, whether a local authority is meeting them or not, is experiencing or at risk of abuse or neglect and, because of their needs, is unable to protect themselves against the abuse or neglect or their risk. The other 18,210 enquiries in 2017-18 were for cases that did not meet the section 42 criteria. This means that the ‘conversion rate’ of concerns to enquiries fell from 41.5% in 2016-17 to 38% in 2017-18. The data gives no indication of why this happened, for example, whether at least some councils were operating higher thresholds for safeguarding enquiries or, on the other hand, whether a greater proportion of concerns were not suitable for an enquiry. However, the conversion rate varied significantly between councils and regions. Among authorities, it ranged from 3.9% to 100%, meaning all concerns triggered a safeguarding enquiry in at least one area, and from 31% in the West Midlands to 45.9% in the North East, though this was down from 63.6% in 2016-17. The North East also experienced by far the highest number of concerns and enquiries per head of population, with 1,596 concerns per 100,000 people, compared with an England average of 902, and 733 enquiries, compared with an average of 343. Five of the nine regions (East of England, London, North West, West Midlands and Yorkshire and the Humber) saw an increase in enquiries, with the sharpest rise in Yorkshire and the Humber (28%). The North West experienced the biggest rise in safeguarding concerns (18%). The report suggested that social care practitioners were helping to reduce risks to people in most cases. A risk was identified and action taken in 68.5% of completed section 42 enquiries. Where a risk was identified, it was reported as being reduced following the enquiry in 63.3% of cases, removed altogether in 27.2% and remaining in 9.6% of cases, a similar breakdown to last year. However, there were significant variations between authorities, with the proportion of risks that remained ranging from 0% to 100% and the proportion of risks that were removed varying from 2.8% to 79%. While it was not mandatory, most councils (107 out of the 152) supplied data on whether they asked people about their desired outcomes from the safeguarding process. Across these councils, people were asked about their desired outcomes in 74.9% of section 42 enquiries, with people expressing their preferred outcomes in 62.1% of cases. Where outcomes were expressed, they were recorded as fully achieved in 68.1% and partially achieved in 26.1%. As in previous years, the report broke down completed section 42 enquiries by the type of risk, but for the first time councils were required to record the number of cases of domestic abuse, modern slavery, self-neglect and sexual exploitation. Of 154,700 cases of risk recorded across concluded enquiries, self-neglect accounted for 4.2%, domestic abuse 4.1%, sexual exploitation 0.6% and modern slavery 0.2%. Neglect and acts of omission made up the biggest proportion (32%) in 2017-18, though this was down from 35% the previous year. Physical risks ranked as the second-largest category, making up 22% of total risks reported, down from 25% in 2016-17. Meanwhile, financial and material risk made up 15% of all risks concluded. The source of risks in the majority of concluded section 42 cases (50.8%) was known to the individual, up from 48% in 2016-17. This compares with 33.7% of cases where the source was a service provider. The increase in the proportion of cases where the risk was known to the individual reflects the recording of data on domestic abuse, modern slavery, self-neglect and sexual exploitation, where alleged perpetrators will largely be known to victims, said NHS Digital. The home of the adult at risk accounted for 43.5% of the risk locations nationally for section 42 enquiries, compared with 35.6% for care homes. Yet, there was some regional variation on the location of the risk of abuse. In London, 57.3% of risks were located in the person’s home and 22.6% were in care homes, whereas Yorkshire and the Humber bucked the national trend to have a greater proportion of risks in care homes (48.5%) than the person’s own home (31.1%). The report also looked at the number of safeguarding adults reviews (SARs) held in 2017-18. A review must be arranged when an adult dies as a result of abuse or neglect, whether known or suspected, and in cases where the adult has not died, but the safeguarding board knows or suspects they experienced serious abuse or neglect. No reported change was seen in the numbers of SARs held this yet, but a decrease (10.8%) in the number of individuals involved in SARs, the number of individuals at risk who died (10.4%), and the number of individuals at risk who suffered serious harm (11.5%) were recorded. It would be useful to see a comparison with figures for Wales in regards to the same category of safeguarding referrals and the percentage where an investigation has taken place. This would help us understand what the differences are and whether a further study could be undertaken to establish the reason for any differences. I am slightly concerned for the local authorities that completed safeguarding enquiries for 100% of adult safeguarding concerns raised. Having checked the data there are 9 local authorities that have a conversion rate of 100%; one of these being Staffordshire, which came as a surprise.